President Rouhani says that Iran will support any Muslim nation or entity which fights against violence, extremism and terrorism. Iran’s President Hassan Rouhani gave an assurance on Wednesday that the Islamic Republic, as an “Islamic world’s big regional power”, will support any Muslim nation or entity in the fight against violence, extremism and terrorism. “The Islamic Republic of Iran will stand beside and defend the Muslims who fight for the sake of freedom of their land against usurpers,” President Rouhani said, addressing the opening session of the 28th International Islamic Unity Conference in Tehran on Wednesday. He underlined that Tehran’s support is not confined to a specific area, and Muslims that are battling with violence can enjoy Iran’s backing either in Gaza, Damascus, Mosul, Kurdistan, Afghanistan, Pakistan or elsewhere. “Should we seek unity in the Islamic world, we must regard as a unified Ummah all around the Muslim world, the Sunnis in Gaza, Alawites in Damascus, Zaidis in Yemen or Kurds in northern Iraq,” he added. 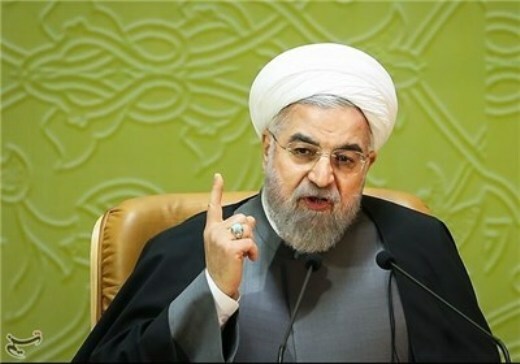 Pointing to the gruesome atrocities committed by the ISIL terrorist group, Rouhani condemned a muted response to the devastation of towns and houses in the name of religion and caliphate. He also urged consolidate efforts to ensure solidarity in the Islamic world, calling on Muslims to condemn with a “unified voice” the TV channels that confront other faiths in the name of defending Shiite or Sunni Muslims. Titled “Unified Islamic Ummah: Challenges and Strategies”, the international conference has brought together some 1,200 Islamic scholars and intellectuals from around the globe. Attendees at the event include educated Muslim figures, ministers of Islamic countries, clerics, scholars and representatives of scientific and cultural circles from Iran and across the world.